Electronic Brick - Button is an input module. The signal output pin is LOW level (0V) in default, and when the button is pressed, it will change to HIGH level (Power Voltage). The following steps show how to use EB - Button with Makerduino. 2. Connect EB - Button to Makerduino as following. 4. 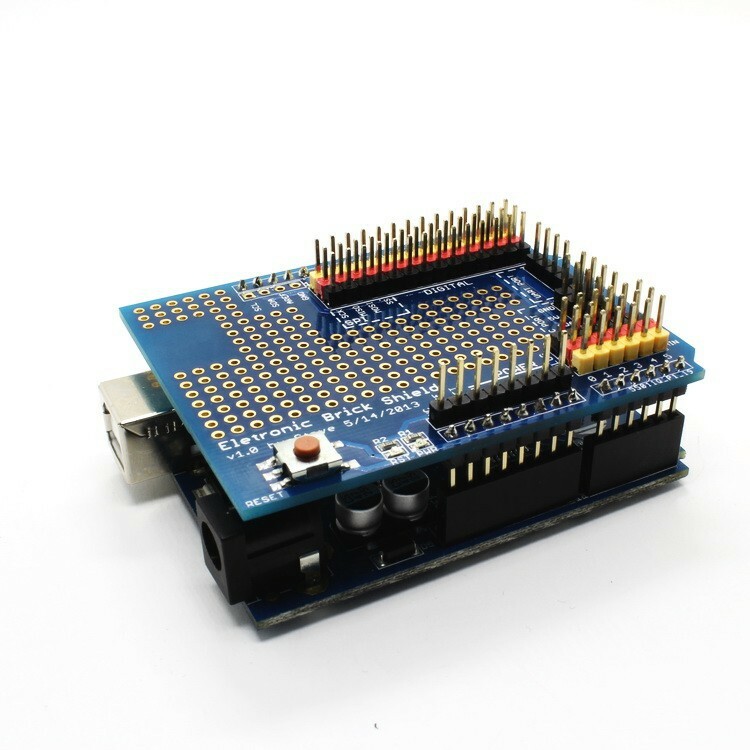 Download the Makerduino demo code EB - Button.zip. Unzip the code directly into the libraries folder. 5. Open Makerduino IDE, choose the right Board and Serial Port. Open the sketch EB_Button.ino and upload it to the Makerduino. 6. Check the Results. After the sketch is successfully uploaded, let's open the Serial Monitor. Keep pressing the button, the Serial Monitor displays as the left picture. Once released, the terminal displays as the right picture. Find EB - Button Material.zip to download schematic and other material.